The Elmwood-Murdock Merchants Association (EMMA) gave $250 to the library to purchase a new SmartTV and rolling stand. The device allows library staff (or public speakers) the ability to easily stream web content via the library’s WiFi. The Nebraska Arts Council awarded the library over $400 to assist with the “Party in the Park” this June. Cass County Tourism granted over $500 to pay for library signage and marketing materials. Finally, the library was very excited to learn they had been awarded $2,000 by the Midlands Community Foundation. 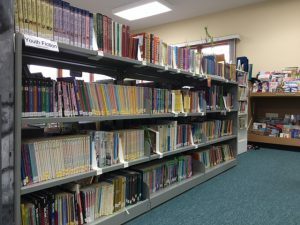 Director Anne Pope says that receiving four grants in one month is pretty rare, and she doesn’t expect it to happen again anytime soon, but she and the library board are grateful and excited about what the gifts mean to the community as a whole. D id you know that the Elmwood Public Library has a nice selection of Large Print books available? We also receive a rotating collection of Large Prints on a monthly basis from the Morton-James Public Library in Nebraska City. 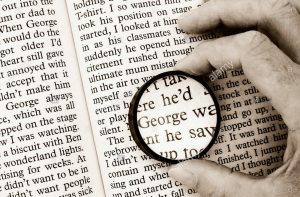 If you have a specific topic of interest or favorite author that you would like to see made available via Large Print books, please let one of our library staff know! We can specifically request these materials for you. Also, with the help of the Nebraska Library Commission, your Elmwood library can obtain free audiobooks and Braille materials for those with a visual or physical condition, or a reading disability which limits use of regular print. Elmwood Public Library is working hard to meet the needs of our visually impaired patrons. Hey kids! If you h appen to be B-O-R-E-D over Christmas break, here’s something fun to do. Come to the library on Thursday, December 27. At 12:30pm we’re going to pretend we’re in Hawaii and watch the Disney favorite, “Lilo and Stitch!” Popcorn and drinks provided. Mom & Dad, if your kid is over the age of 5, it’s ok to leave them with us! We’ll have semi-responsible adults supervising the kids until 2pm. Comments Off on Holiday Movie Day! The Elmwood Public Library is proud to announce that Elmwood’s newspapers published from the late 1890s to the last issue published in 1953 are now available online via the Elmwood Public Library. When the Elmwood newspaper stopped publishing it was known as the Elmwood Leader Echo. Earlier in its history there were two newspapers the Elmwood Leader and the Elmwood Echo. They later merged. Another Elmwood publication (Weeks Review) was also available in the 1890s. The process to search for people, places or events in our town’s history is made very simple by the website’s search engine. The funding for this project was provided by Kirby and Cindy Drake in memory of Kirby’s parents Arthur & Gwineth (TenBroeck) Drake and their 15 children that grew up in Elmwood and graduated from Elmwood High School. The Bess Streeter Aldrich Foundation was instrumental in helping the Drake’s relay funding for this project so it could take place and the George Blessing family granted copyright permission for the last decades of the Elmwood Leader-Echo. The copies can be accessed via a permanent link located on the Elmwood Public Library’s website. Cindy Drake is the Librarian of the Nebraska History Library at History Nebraska (formerly the Nebraska State Historical Society). History Nebraska has been microfilming Nebraska newspapers since the 1950s. This includes Nebraska newspapers published since the territorial days to the present. This large collection for the State includes all available issues of any newspapers printed in Elmwood. The State of Nebraska does not fund the digitizing of Nebraska newspapers at this time. Any digitization of Nebraska newspapers is supplied by local entities (libraries, local historical organizations, foundations, or in this case private individuals). The History Nebraska Microfilm Lab under the direction of Mary Woltemath, will send their film to vendors who will scan, digitize, and in most cases OCR (make word searchable) the microfilm when it is paid for by local sources. The company that scanned the Elmwood newspapers and hosts the site where they are stored is Advantage (located in Iowa). When History Nebraska originally filmed the bulk of the Elmwood newspapers they were continuous over many rolls of microfilm. Sometimes missing issues or short runs of a newspaper cannot be spliced with the original microfilm. For that reason, History of Nebraska would microfilm together on one roll issues of many different community publications and call them “filmstrip rolls.” This is what happened with some issues of the Elmwood newspapers. On some rolls of filmstrip microfilm where some Elmwood newspapers were located, there were also copies of other newspapers from other communities across the State. Instead of solely scanning the Elmwood newspapers, Advantage scanned the entire roll. This way, the treasures of other communities have been digitized as well. For that reason, you will see listed publication for other community newspapers including those of Brownville, University Place, Thomas County, Alliance, Axtell and others. As of right now, online access is available for Elmwood newspapers printed up to May 4, 1950. It came to the attention of Cindy Drake that the last roll of microfilm for the Elmwood newspaper did not make it to Iowa to be scanned. That will be corrected and soon the remaining issues through September 24, 1953 will be on the website very soon. The Elmwood Public Library wishes to extend their sincere thanks to Cindy & Kirby Drake, their families as well as the Bess Streeter Aldrich Foundation for helping to implement this important historical reference for our community. We encourage everyone to explore the website at their leisure. Those with questions about using the site may visit the Elmwood Public Library for a little extra help. 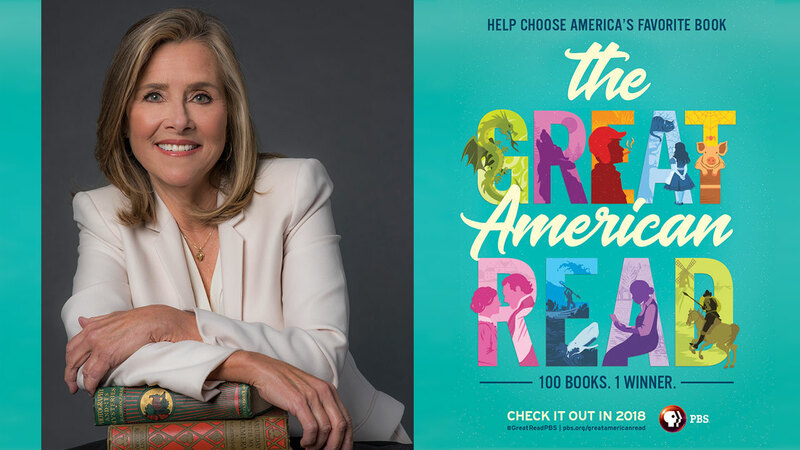 PBS is currently running a series on Tuesday nights entitled, “The Great American Read.” Leaders in entertainment, politics and education are reviewing the top 100 most popular books in America and they’re slowly counting down to America’s number one favorite book. 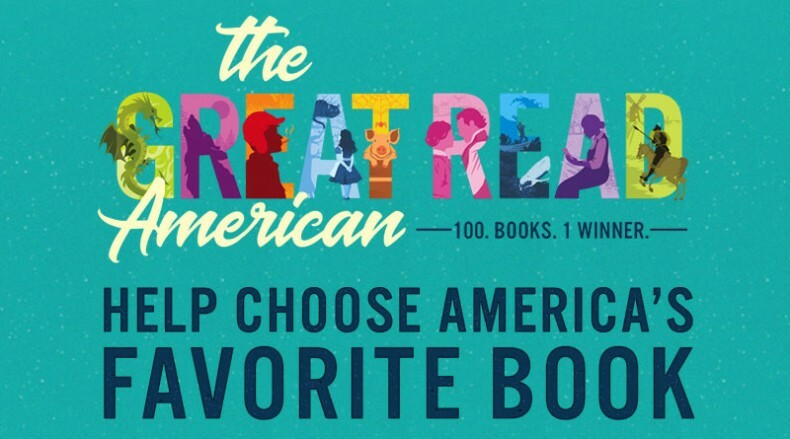 You can vote for your favorite by clicking here! 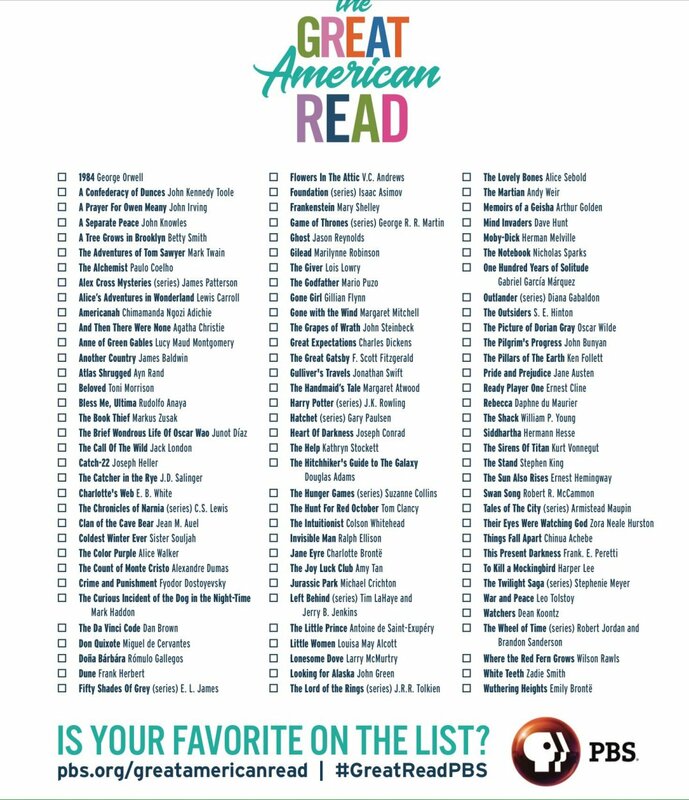 Our staff checked the list against our current inventory, and while we have a majority of the titles, do have a few holes in the list! 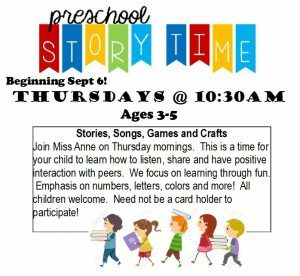 Preschool Storytime – Sept 6! Comments Off on Preschool Storytime – Sept 6! It’s just around the corner. E-M Public Schools are back in session August 16. 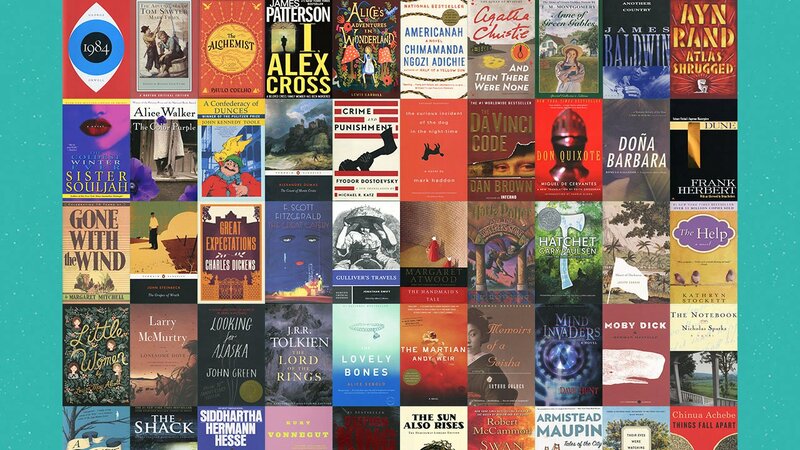 While the school libraries are a wonderful source for books and reference materials, don’t forget your public library has many Pulitzer Prize winners, literary classics, and new titles coming in all of the time. We also utilize an interlibrary loan program to borrow books from other locations throughout the state! Our librarians are familiar with the AR program that the school utilizes to encourage young readers. We can help make decisions by looking-up almost any book title to see its point value for your child! 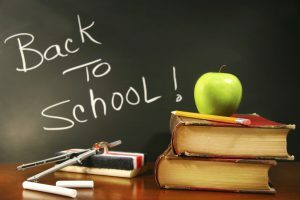 Comments Off on Back to School! The Elmwood Library has a special event planned for Sunday, June 3! 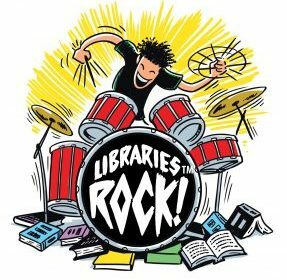 To kickoff our Summer Reading Program and its theme, “Library Rocks!” we’re going to rock out at the city park! The fun starts with TWO food trucks ready to serve you! The Tastee Trailer (you may remember the old Tastee In and Out in Lincoln) and Kona Ice (Hawaiian-style shaved ice) will have supper and dessert too! Tastee Trailer is actually opening earlier in the day at 11am. 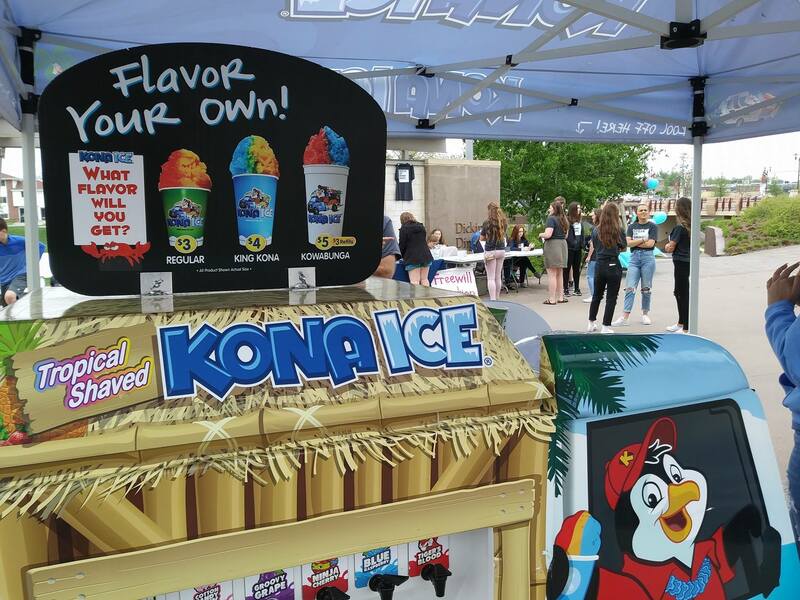 Kona Ice will get started at 4pm. The Librarian’s Table will open at 4pm. 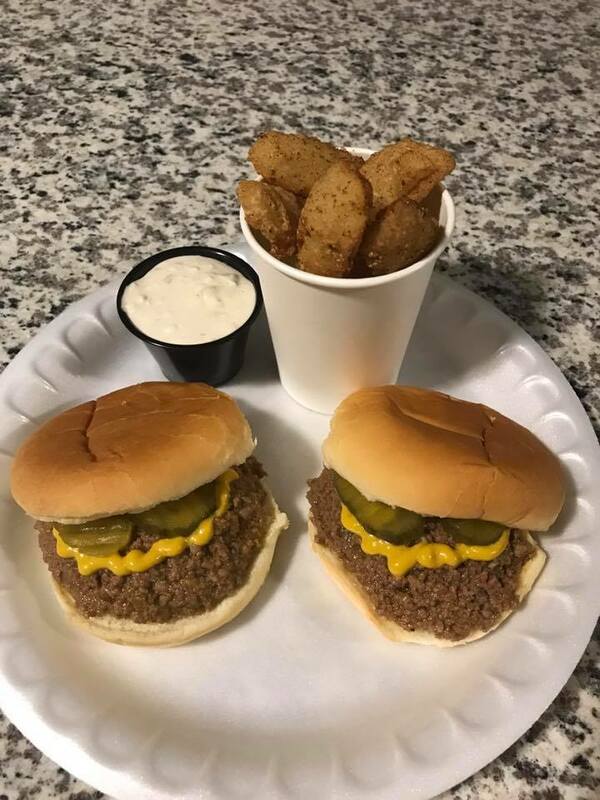 Be sure to get a $1.00 food truck coupon (compliments of American Exchange Bank) by showing your Elmwood Public Library Card. Or, apply for your own NEW card and you can still get a coupon! The librarian will also have information and pre-registration sheets for the Summer Reading Program. Dates for the program are June 6, 13, 20, & 27. Kids in grades K-6 are welcome to come read books, play games and make crafts designed to enhance their knowledge about music and sound. Always popular with the little ones, we’ll have a face painting station too! Sponsored by Cindy Mather and Cindy Hovorka from “Your Thairapist,” the kids will look LOVELY for what comes next. Starting at 5pm, the String Beans will take the stage. 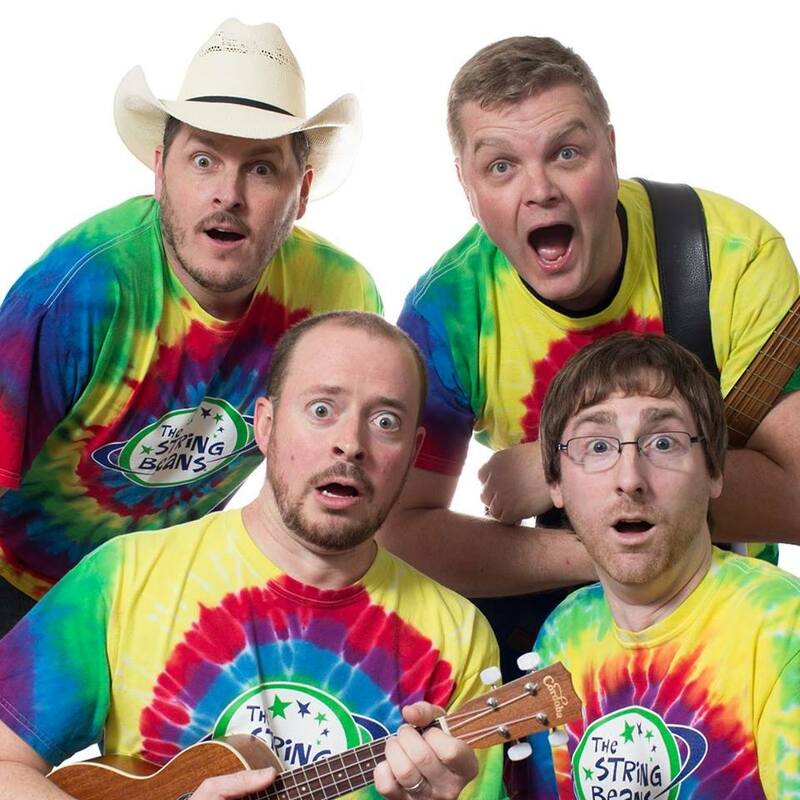 Based out of Lincoln, Nebraska, the String Beans perform a wide variety of family-friendly songs about all the things kids love: animals, cartoons, food, etc. 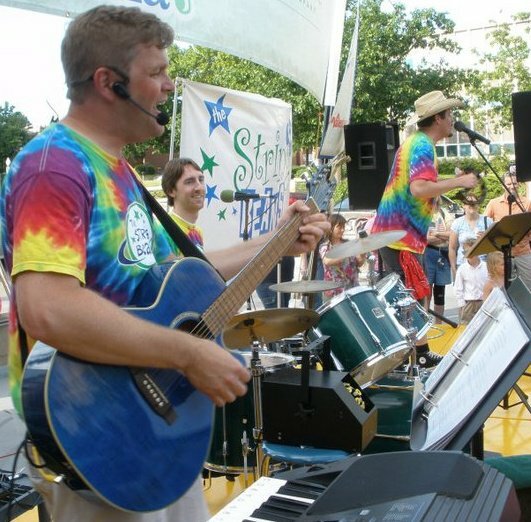 Since debuting in 2004, the String Beans have released 10 albums and have appeared at numerous festivals, concerts and regional television programs. They’re energetic, silly and lots of fun. We suggest that you bring your own lawn chair and enjoy the food, music and close feeling of community as we welcome summer in style! Comments Off on Rock the Park! Just like the rest of you, the library is tired of the cold temperatures and looking forward to sunshine and sunny days! As such, the library staff has been working hard on some Spring Cleaning projects! The YOUTH FICTION section of the library has been updated and reorganized. With a generous donation of some very nice books, we’ve put several book series together so they are easier to find. 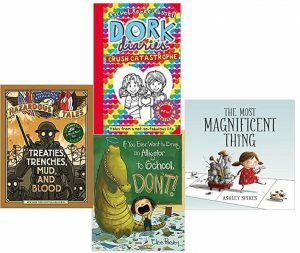 Series including “Magic Treehouse,” “Encyclopedia Brown,” “American Girl,” “Mighty Robot” as well as some graphic novels are now much easier to find! Also, the library has purchased some heavy-duty library shelving to replace some of the older wooden sections that we have now. The big move will probably take place in mid-May. In the meantime, if you happen to have any cardboard boxes to use as temporary storage for the books, we would love to have them! We’re also culling out some of the older non-fiction books to make room for more topical subjects. So, if you ever come in and can’t find something, just ask. It may have been moved to a temporary location! Comments Off on Spring Cleaning! 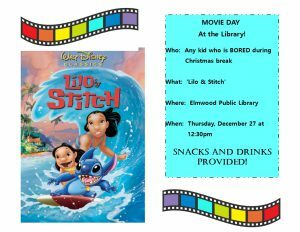 Elementary school students are invited to see a movie at the library on their day off from school. 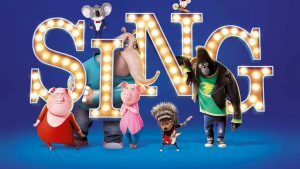 On Thursday, December 28th we will be showing “SING!” at 11:30. We will provide a drink and a snack and the movie will be finished by 1:30 with plenty of time to clean up before the library closes at 2:00. Please come and join us. 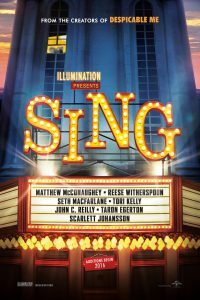 You’ll have a singin’ good time! Comments Off on It’s Movie Time!